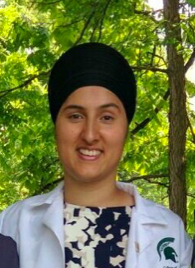 Tarandeep Singh is a first year medical student in the MSUCOM class of 2020. She is from Caledon, Ontario, Canada. She attended McMaster University where she completed her undergraduate studies in Biology and Pharmacology and her Master’s in Medical Sciences. She is interested in primary care.